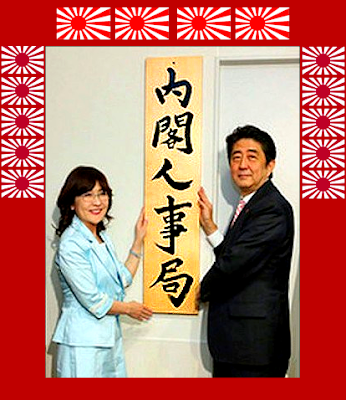 Prime Minister Abe & his right-wing confederates eagerly grabbed control of Japan's top civil servants via his Cabinet Bureau of Personnel Affairs from mid-2014, so now should take responsibility for criminal misconduct and bureaucratic corruption. The Japan Times explained (link): Until 2014, top ministry officials recommended most high-level bureaucratic appointments. But since creation of the Cabinet Bureau of Personnel Affairs (内閣人事局), Abe & his aides now directly screen & appoint the top 600 bureaucrats. Japan's once powerful civil servant class became more obedient to lawmakers, increasingly catering to the interests of the politicians controlling their careers.